Theory and Practice of Blood Flow Measurement presents the methods for determining the metrics of blood flow in the major vessels. 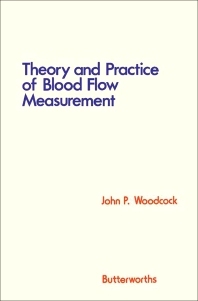 This book is organized into two sections encompassing 16 chapters that discuss the theories behind the different techniques of flow measurement and the performance of flowmeters and their practical application to determining blood flow volume in the tissues and organs. Considerable chapters are devoted to various methods of blood measurement, including dilution, transport, and thermal techniques, as well as the effect of catheter sampling on the shape of indicator dilution curves. Other chapters are concerned with the possible errors in the application of indicator dilution techniques and the types of dilution indicator, and measurement of indicator concentration. A chapter is devoted to the advantages and disadvantages of thermistor flowmeter. The last chapter focuses on the design of a thermal dilution catheter. The book can provide useful information to physicists, bioengineers, surgeons, students, and researchers.